We've received numerous testimonials over the years from folks taking our trips. "We made it back from our wonderful trip last night.I just wanted to write to say thank you very much. "Everything was great. Not a single problem. "The tour guides ( Duke, Sidi, and Tim) we had while there are all very very cool guys and they really showed us a lot of little things thatwe may have missed otherwise. "I would, and will refer anyone i know to you guys for their trips, and i myself might contact you guys when i am ready to go back"
"I booked this trip through Amsterdam Trips, LLC. "Given that it's my first trip to Amsterdam, and I'm traveling alone, I thought this might be a good decision. "And I turned out to be right. "There were a lot of extras in the package that were handy for a Dam virgin..."
"Hello thanks to Nico, Duke and the great peoples at amsterdam trips. 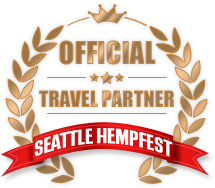 "My trip to the cannabis cup in november was a success with many great memories. "thank you for the great trip to the cup. "I look forward to doing more business in the future as i have found my new favorite city." Hello, We just returned from Amsterdam and our tour guide was Duke. We absolutely loved him as our guide to the city, he not only helped us navigate the city of Amsterdam, he also gave us history lessons on the areas he took us to. He was pleasant and we could all tell he loves showing people the beauty of the city. If we were to return, we would specifically request Duke to be our guide again. He was fantastic!!!!! Thank you!! "Hello to Nico and all the staff at Amsterdam trips. 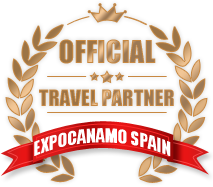 "I absolutely love booking my trips through you guys its so easy. "Duke nailed it with his tour guide thing and made it pretty easy to figure out how to get around. "Nico Nico! the trip of my life, I did so much in the one week, everything you said there was going to be happened. "I was very please with how things went. "Met a couple who did not sign up because of the wait till the last week for plane info. "Duke was very helpful, I was having so much fun that I missed a bunch of his different tours. "The long flight almost did me in. The week of my life, thank you so very much!" "Nico, As always my wife and I had a great time in Amsterdam at the Cannabis Cup. "It was great to be greeted by Duke at the airport and he got us settled at the hotel. "When we got to the hotel, they had a room ready for us so we could settle in and rest a bit before beginning our adventures. "The extra days were good too as we were able to see some museums...Thanks again"
"Duke helped me on the first day by staying up till 3:30 am helped closing down the Sattilite Cafe. "Heard a few stories about you stopping bikes with your body lol. "Sinus are going wacky all that sampling! Thanks once again." "Hello, I went to Amsterdam for the 25th anniversary with you guys. "I had a blast by the way! "Thanks so much for your time. You guys rock!" "Hotel good, transport good, cup event super great. "Hi Nico, Thanks so much for planning a great trip. "We really enjoyed our time away. "The tour guide was really helpful. "Hey, you should know that flight from Heathrow to Amsterdam is a little too close... we missed it. We landed when it took off. Allegedly because of the jet stream. Perhaps the 10 something flight would be a better connector. It was the only aggravating moment to our trip as Delta was not nice to us and rather than put us on the 10am trip we waited until a 2:30pm boarding thus ruining much of the day in a darn airport. "Thanks again for a great trip but for this one, rather major glitch which wasted time! "Do you book other flights/trips? Best, Nancy"
"This is the best trip of my life!" "Our guide was fantastic, his name was Duke.
" Fantastic. So much knowledge and so much patience with us!" "I want to live here." "We are here in Amsterdam and our tour guide's name is Duke, and he is a very nice gentleman. "It would be most appreciated if you could tell me what is the normal custom as it pertains to tipping the tour guide at the end of the trip?"